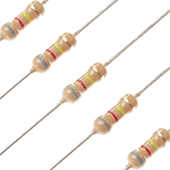 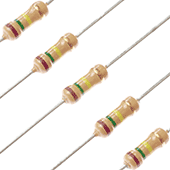 820kΩ Carbon Film Resistors (Pack of 5). 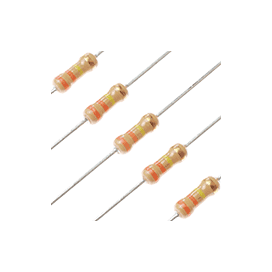 470kΩ Carbon Film Resistors (Pack of 5). 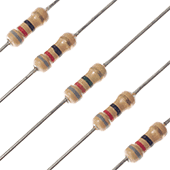 390kΩ Carbon Film Resistors (Pack of 5). 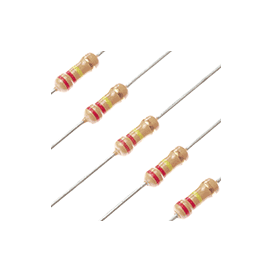 330kΩ Carbon Film Resistors (Pack of 5). 270kΩ Carbon Film Resistors (Pack of 5). 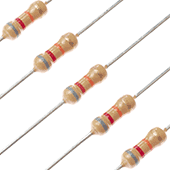 220kΩ Carbon Film Resistors (Pack of 5). 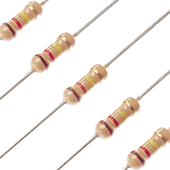 150kΩ Carbon Film Resistors (Pack of 5). 120kΩ Carbon Film Resistors (Pack of 5). 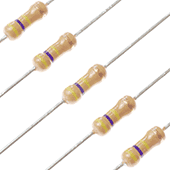 82kΩ Carbon Film Resistors (Pack of 5).